PARIS, Oct. 2, 2012 -- Fans of the Gears of War™ franchise will now be able to bring the game to life as they build model vehicles offered by Erector®, a division of Meccano®. The brand is set to release four buildable models inspired by Microsoft's billion-dollar franchise, one of the most popular video games of all time. 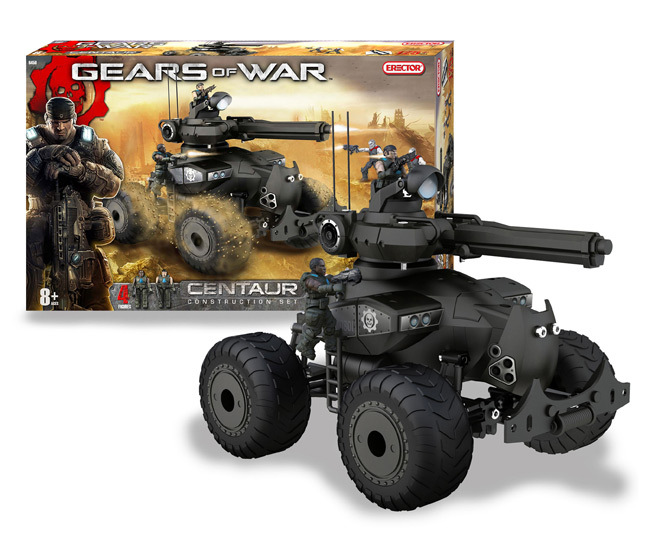 The Gears of War Erector sets are available now exclusively at Toys 'R' Us and http://toysrus.com. Enthusiasts can now build the most popular vehicles and recreate the Locusts vs. Delta Squad Battle with these highly detailed sets. With the expertise of the iconic Erector brand, the precision construction and attention-to-detail will engage the older fans and collectors, while the easy-to-follow instructions and cool vehicle designs will make it a fun experience for younger fans who haven't yet played the video game.